Another Slice of Arkansas Pie: A Guide to the Best Restaurants, Bakeries, Truck Stops and Food Trucks for Delectable Bites in The Natural State is aimed at both pie lovers and travelers. Here are some questions and answers about this book from its author, Kat Robinson. Q. What's the inspiration here? A. 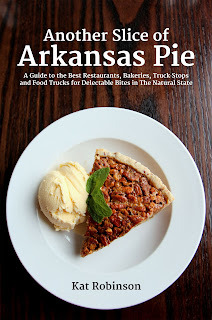 In 2012, I wrote my first book, Arkansas Pie: A Delicious Slice of the Natural State. I was under a 30 day deadline, and while the book does contain a lot about pie in Arkansas, it didn't cover everything I wanted to talk about. Though I move on to other work quickly, I've been thinking about revisiting the topic and fleshing it out ever since. AETN (the Arkansas Educational Television Network) approached me a few years later to build on ideas for a television program. In the summer and fall of 2017, Emmy award-winning producer Larry Foley and exceptional director Hayot Tuychiev worked with me to create Make Room for Pie: A Delicious Slice of the Natural State, which debuted in March 2018. During the making of the show, it became evident that there was a lot more to talk about concerning pie and the folks who make it in Arkansas. I had already started piecing together Another Slice of Arkansas Pie for an expected summer release, but when the original Arkansas Pie became unavailable, I hunkered down and completed it, doing most of the photography and writing between Christmas 2017 and Valentine's Day 2018. Q. What does this new book cover? A. The book covers well over 400 different restaurants - each one listed within its region, close to other cities in its immediate area. You'll find eateries from 74 of Arkansas's 75 counties within (Lee County, home of the esteemed James Beard award-winning Jones' Barbecue Diner, is the only exception). Every restaurant's address and phone number were included, as well as websites when they were available. I tried very hard to find the special pies, or most favored pies, at each location - with pies made on-site or close by - no food service pies here. There are also more than 350 full-color photographs, all but a handful of which I took myself. I also included 33 recipes - some that are from classic restaurants that have closed, a few from restaurants open today, and several from longtime readers of Tie Dye Travels. Q. Why are there so many listings? A. I wanted to ensure that the reader could find a good place for pie anywhere they went in the state of Arkansas. To that end, I traveled extensively. I've been gathering information on Arkansas restaurants and foodways for over ten years, and I was able to draw on that, but there were some areas of the state where I simply didn't have enough photography on the subject to do justice to the topic. For this book, I traveled 6300 miles and visited more than 200 restaurants, to add to so many I've catalogued and covered in the months and years beforehand. I also made hundreds of phone calls and email inquiries along the way. Q. What are some of your favorite stories in the book? A. I love the mission of Flywheel Pies, those scrumptious half-moon pies that are sold in 62 Arkansas counties. The business, which once belonged to a lovely Prescott couple, is now owned by Independent Case Management and functions as the only non-profit fried pie maker in the world. 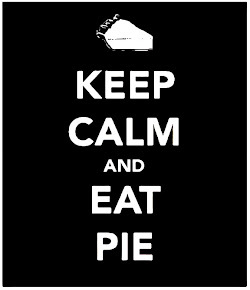 Watching eight women on the line make each pie by hand - down to crimping with four-tined forks! - was remarkable. There's also the story of Ruby Thomas and her famed Paradise Pie at the Red Apple Inn in Heber Springs; the tale of how Mike and Bridgette Batten came to own the Paragould bakery that already bore their name; the history of Varine Carr and the Shangri-La Resort on Lake Ouachita... each of these stories are worth sharing. My only regret there is that in covering so many restaurants, I had to keep my stories very short. Q. What's the purpose of the book? A. Another Slice of Arkansas Pie is meant to get people hungry enough to get out and explore this great state. We have so many treasures here in Arkansas that should be shared, so many experiences. I'm hoping the book gets read twice - once straight-through, once bit-by-bit as readers plan their own visits to these extraordinary places. I can see someone matching up a visit to Crystal Bridges with a stop at Gooseberry Handmade Pies, or a stop at the Four States Auto Museum with a bite at the Olde Tyme Burger Shoppe. I hope it goes hand-in-hand with visitors who want to discover Arkansas's flavors as they discover The Natural State's wonders. Q. Where can readers purchase your book? A. For signed copies, readers can head to ArkansasPie.com and order the book directly from me. It will also be available at Wordsworth Books and Honey Pies in Little Rock and a number of different places around the state. I am hoping to share the book through partners involved in tourism, namely spots where travelers stop, to help with their culinary curiosity. The book is also available through Amazon, Barnes and Noble and other nationwide and international booksellers. Copyright 2012-2018 by Kat Robinson and Grav Weldon. Author retains all electronic and publishing rights, except where express given permission has been granted. For information about utilizing content or photography in your publication, contact the author at kat@tiedyetravels.com. Copyright 2012-2018 by Kat Robinson and Grav Weldon.